PLANO, Tex. 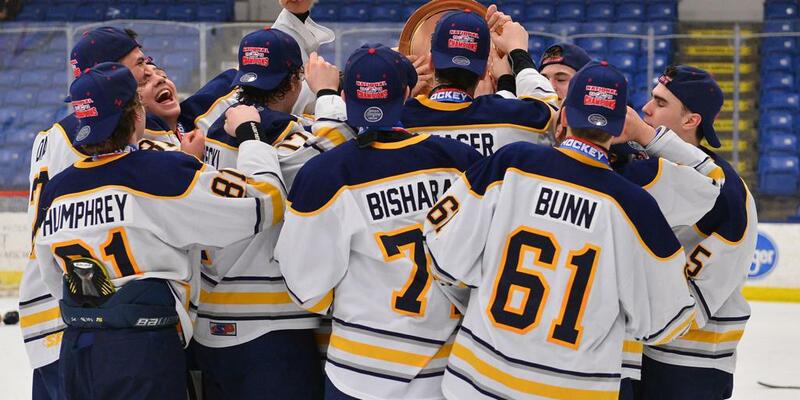 — Sunday’s action in Tier II 16U play of the 2019 Chipotle-USA Hockey Youth National Championships at the Plano StarCenter delivered plenty of drama. 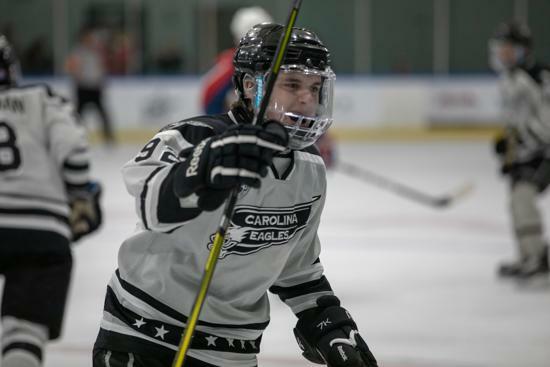 Five games were decided by a single goal, including two in overtime, with three of those winners punching their tickets into Monday morning’s finals. 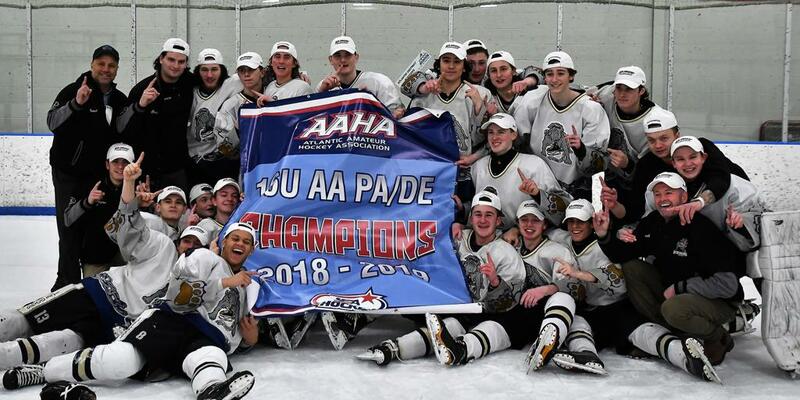 The Las Vegas Jr. Golden Knights advanced to Monday’s 1A final when Heath Mensch scored off a rebound 7:39 into overtime, giving Vegas a 2-1 win against the Charleston Jr. Stingrays. 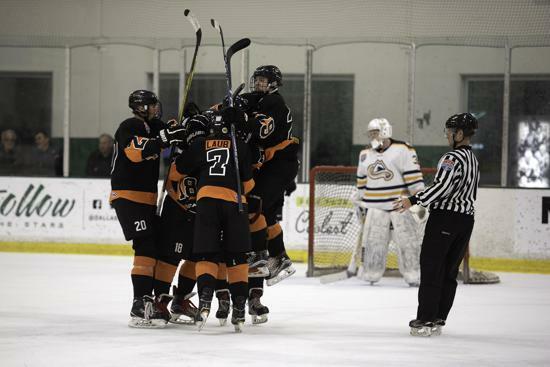 Vegas took the lead when John Purdy II scored just 15 seconds into the game. 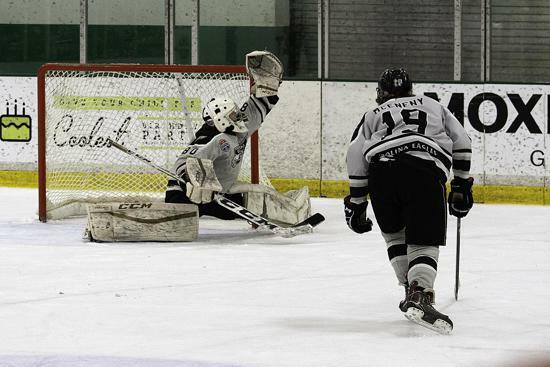 However, the gritty Stingrays answered thanks to a Jonathan Oriani goal 3:20 into the middle frame. And the game remained tied for the next 38:18 until Mensch, who had a hat trick and five points for the Jr. Golden Knights earlier in the tournament, scored in overtime to end the game. “91 [Mensch] said he was going to get the goal. That’s who snuck one in late,” Owen said. 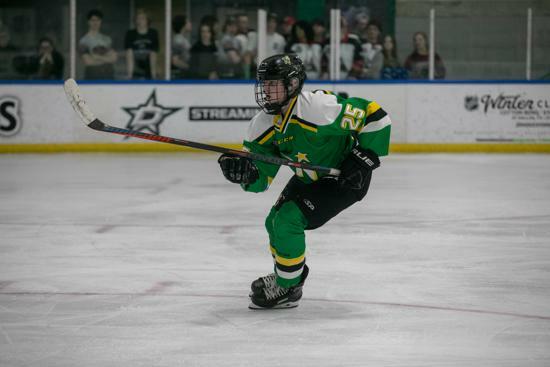 In 3A action earlier on Sunday, the Sylvania (Ohio) North Stars defeated the Littleton Hawks 1-0 in overtime with Nicholas Coward scoring a power-play goal to send Sylvania into an afternoon game against the Cheektowaga (New York) Warriors. That afternoon tilt saw Cheektowaga edge Sylvania 2-1, advancing to the 3A final, thanks to a shorthanded goal by the Warriors’ Bryson Miller with 9:34 remaining. 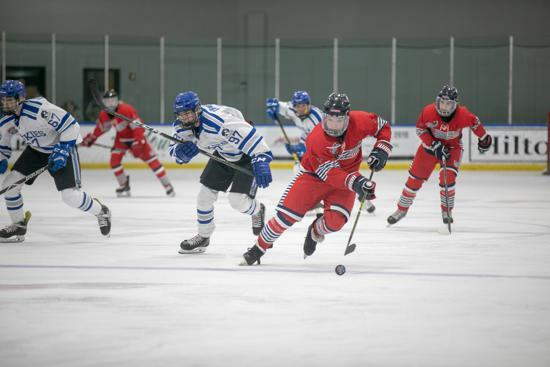 Cheektowaga was attempting to kill a 5-on-3 power play when Miller capitalized on a Sylvania turnover in the neutral zone and broke free for a breakaway before scoring the eventual game winner. 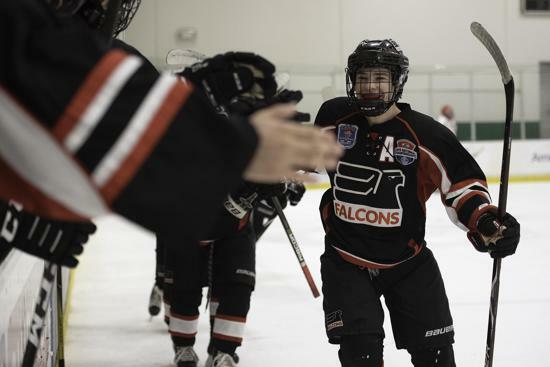 Also, on Sunday afternoon, the Highland Park (Illinois) Falcons prevailed 2-1 over the Oakland (Michigan) Jr. Grizzlies, advancing to the 3A final, thanks to Tyler Horberg roofing a shot into the top of the Grizzly net from the edge of the left circle with 2:13 remaining in regulation. This game was scoreless through two periods. 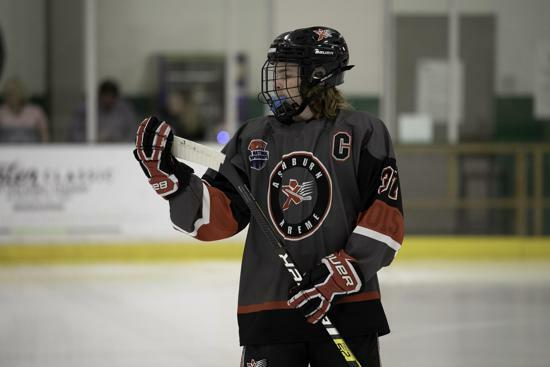 On Sunday morning in 2A play, the Dallas Penguins found themselves in a 3-3 contest with the Park City Miners late in the third period. 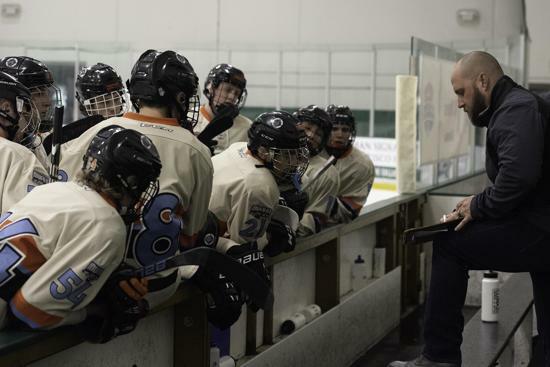 However, the Penguins scored twice in the game’s final two minutes, getting goals from Alexander Hollands and Ethan Chen, an insurance tally with 28 seconds remaining, to prevail 5-3. 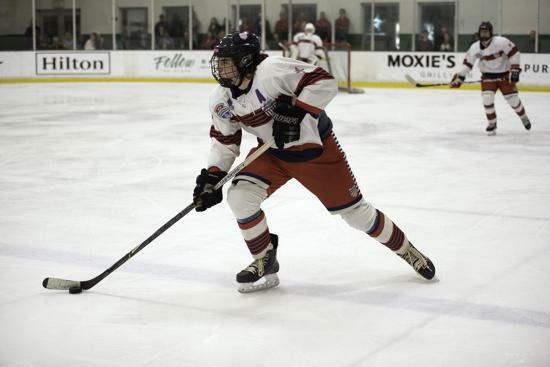 There were eight hat tricks in the tournament, including two from Jaden Blevens of Oakland (Michigan). 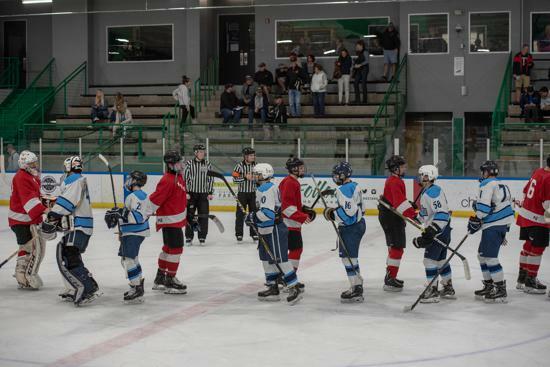 Eight different players had three or more assists in a game, including a four-assist performance by Peter Flannery-Shutt of the Anchorage North Stars and a five-assist game from Xtreme’s Ethan Abramovich. Two players, both from the Vegas Jr. Golden Knights, Mensch and Ian Williams, had five-point games. Mensch and Williams both accomplished their noteworthy feats in the same game, an 11-1 win to open the tournament on Thursday. There were also 12 shutouts in the tournament, four recorded by the Highland Park Falcons. 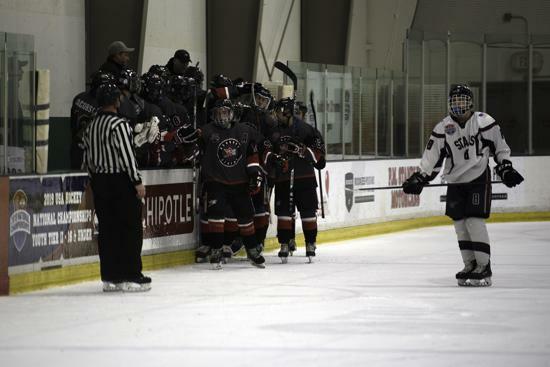 For the second time in three years, the Plano StarCenter hosted Tier II 16U play of the Chipotle-USA Hockey Youth National Championships. The facility also hosted the event in 2017, where the champions included the Dallas Penguins, who call the Plano StarCenter home. 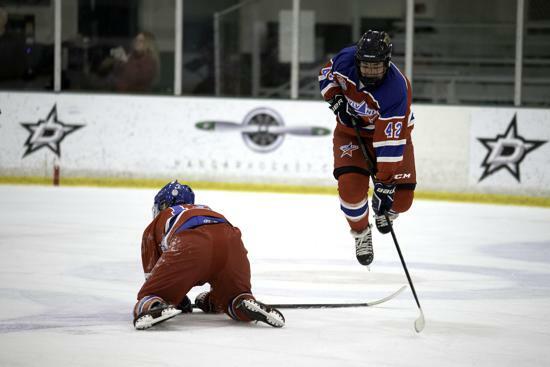 The Dallas area also hosted the 2018 Tier I 15-Only championships at the Irving StarCenter across town. 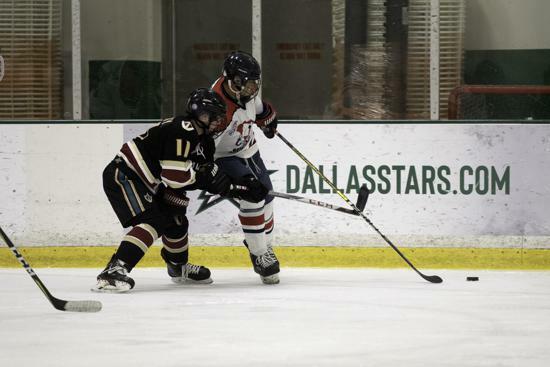 The Plano facility, its staff and volunteers earned high marks from both visiting teams, including players, coaches and parents for their great Texas hospitality during this year’s event.